Covidien is the manufacturer of multiple forms of transvaginal mesh that it advertises for the treatment of pelvic organ prolapse and stress urinary continence. 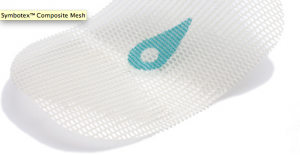 Despite the company’s assertion that its implants are more effective than traditional surgery, case studies have shown that the mesh products Covidien are not only less effective than the traditional alternative, but that they are the cause of severe complications. Covidien’s misleading claims and failure to address the health concerns related to its transvaginal mesh products signal that the company may be held liable for any harm the products have caused the patients who had them implanted. Covidien has four different transvaginal mesh products that are designed for the treatment of pelvic organ prolapse or stress urinary incontinence which have proven to be defective and may cause undue injury to those implanted with them. The claims made by Covidien are that its slings and mesh offer a less invasive and more effective alternative to traditional surgery. These claims have since been proven false and the products have been the cause of severe and life threatening conditions such as perforation of the urethra, bowel or bladder, internal bleeding, infection of surrounding tissue or organs and septic shock, which occurs when an infection reaches the bloodstream. It has been required in many cases for women to undergo additional surgery both to remove defective mesh products and to repair the damage they have caused. If left untreated, conditions such as perforations of the bowel, bladder or urethra can result in tissue death, organ failure and death. Once detected, these conditions require immediate surgery and it may even take multiple surgeries to fully remove the mesh. Covidien is one of multiple manufacturers of transvaginal mesh products that has come under fire for its deceptive business practices in that it hid the risks associated with its products and made false claims about the products’ effectiveness. This level of negligence makes Covidien liable for the cost of removing its devices, the pain, suffering and shame caused by multiple corrective procedures and any costs associated with the patients’ recoveries. Rosenfeld Injury Lawyers LLC are among the leading medical product liability attorneys who are helping those affected by these defective products recover damages so that they are not further burdened by their experiences by having to worry about financial ruin. If you were implanted with a transvaginal mesh or sling product produced by Covidien and have suffered severe complications as a result, contact us today so that we can schedule a free consultation with you. We will answer all of your questions, explain your rights and examine all of the details of your case before advising you on your path forward. We will do everything in our power to collect every penny of compensation to which you are entitled and will never ask for payment unless we are able to do so.